In music, the idea of an underdog is somewhat hard to pin down. According to Merriam-Webster, underdog means “a person or team that is expected to lose a contest or battle.” It’s obvious how this applies to sports, which is where you typically hear the term, but in music what does that mean? The working definition I’m going with is a band that just can’t seem to get the break it deserves. The band I’ve chosen to write about has been around since 1995 and has released 12 albums in those 19 years. Their music is difficult to describe because one album can contain art rock, experimental music, and singer-songwritery tunes, so let’s just call them “indie rock” since that’s such a catch-all genre. They have two strengths that set them apart: their songwriter Craig Minowa, and the fact that their band includes a painter. One might ask how a painter can perform with a band, but they’ve made it part of their identity. They have a painter, Connie Minowa, paint along with the show. 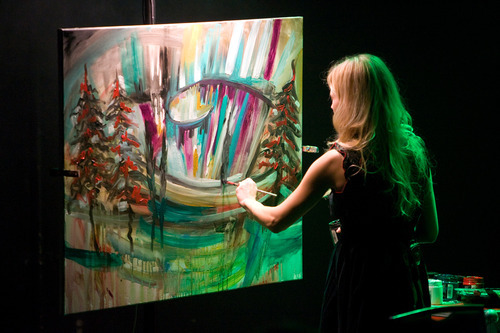 She paints the vibe she feels from the concert, and then they sell the painting at the end of the night. Cool, eh? Craig Minowa, as I mentioned, is the songwriter for Cloud Cult. He brings a spirituality and curiosity to his lyrics that just isn’t seen much in the music I tend to listen to. There’s a mystical side to life that Minowa explores with great frequency. His songs are incredibly personal, yet entirely relatable. A fantastic example of this is “You Were Born” from 2011 album Light Chasers. This song means more to me than any other song I’ve ever heard because I apply it’s meaning directly to my own child. I heard the song for the first time only a few months before she was born, and I think of it as my song to her because it encapsulates how I feel about the parent/child relationship in context of life as a whole, but it doesn’t come off as corny. Lyrics like “I don’t know where we come from, and I don’t know where we go / But my arms were made to hold you, so I will never let you go” resonate deeply with me as a father. 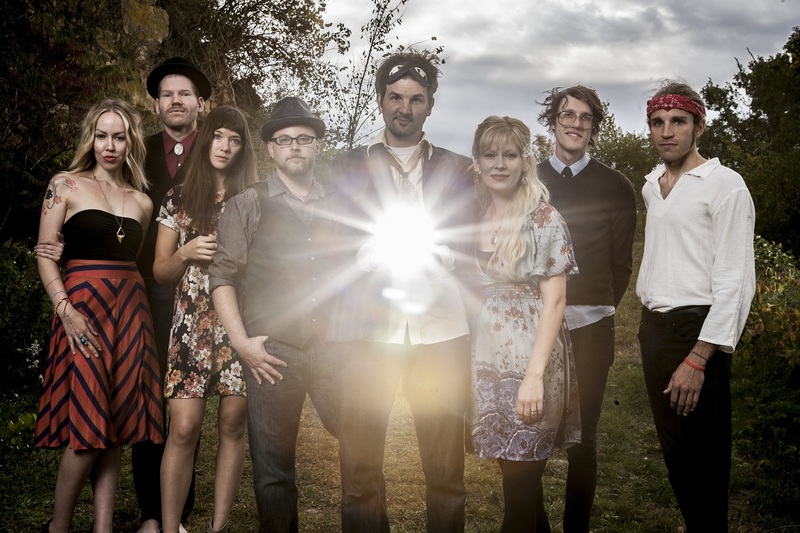 So why are Cloud Cult underdogs to me? Well, it seems to me that as prolific as they’ve been over the last two decades, they’ve never really gotten a whole lot of attention for it. I’ve seen their documentary No One Said It Would Be Easy a while back and there was a point where they got excited because they charted somewhat with regional radio. And I feel like that’s about as far as it’s gotten for them. With every new album, I say a little prayer that this will be the record that really gets them the recognition they deserve, but it never comes. They’ve carved out a fiercely loyal fanbase, but it doesn’t seem to get much larger as time goes on. They deserve to be a lot more well known than they are, but hey, maybe they like the level of fame they’ve achieved and they’re happy with it. Either way, you should give them a listen. You can stream all of their albums since 2000 at their webpage.